Lately, the indie market has spurred a new genre of games that are taking the world by storm – the “survive and craft” titles, which later evolved into the “battle royale” adrenaline-infused shooters. We are talking about games like Rust, H1Z1 King of the Kill, and Playerunknown's Battlegrounds. These games, even when buggy, unfinished, and in early access, all became insanely popular. Well, good news is, when a certain genre for PC or console goes popular, mobile developers start thinking about developing the same type of titles for phones and tablets. And the other good news is that our phones and tablets are now powerful enough to actually run games on a similar scale! So, let's check out some Battle Royale games for iPhone and Android! The original... port of the PC game, which made battle royale a mainstream genre. 100 players are dropped on a vast island with nothing on them. You go in solo or in a team of up to 4 and need to loot, shoot, and survive until you are the last man / team standing. 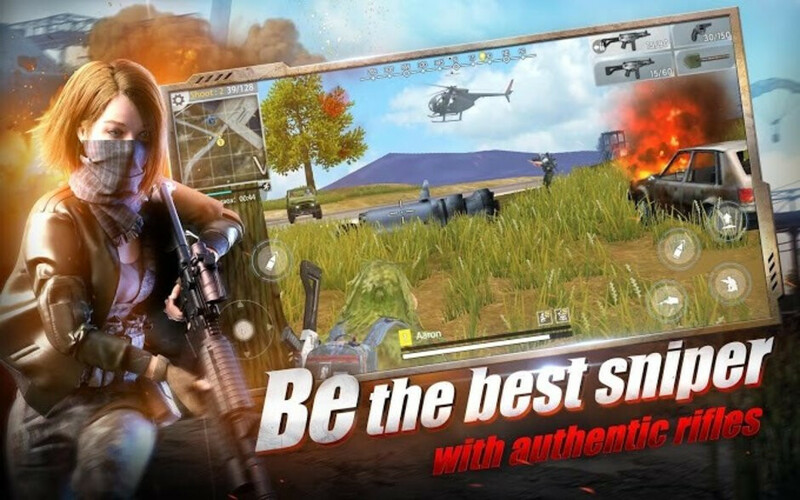 When it first launched, PUBG Mobile was a laughable copy of other mobile games taking a stab at the royale genre. But, over the months, it has evolved to be a closer representation of the full-blown game. 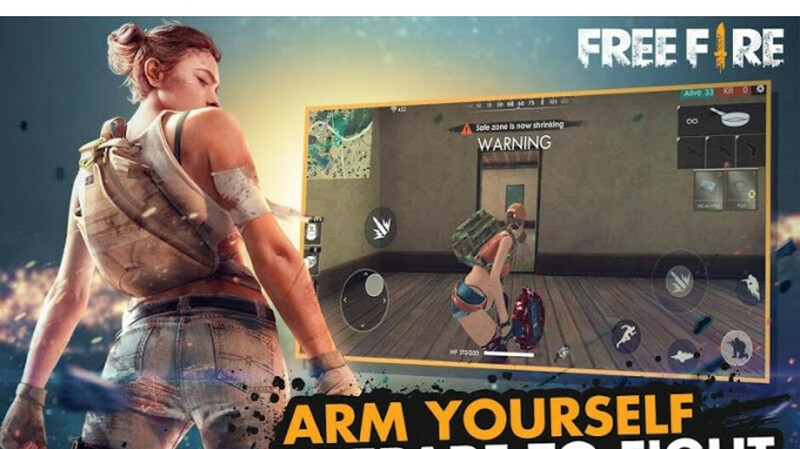 It's also a very well made shooter for mobile — with expansive controls and customization, it's one of the gun-oriented games that we can bear to play on touchscreen. Yeah, Fortnite's Battle Royale mode kind of took the world by storm. There's something to be said for a game if it ends up being the main theme of YouTube's Rewind for 2018. It's colorful, it's spectacular, it's silly, and it's approachable. It's also available for mobile and looks and feels very much like its console counterpart. Fortnite's concept is similar — 100 players join in a free for all or in 4-man squads. Survivor takes the win. The difference here is that Fortnite lets you destroy pretty much everything that's on the map, collect its parts as a resource, and use them to construct buildings, ramps, stairs, and cover for yourself while in the heat of battle. This game looks and feels a lot like PUBG and even does bullet travel time, which is something that even PUBG Mobile doesn't do. Of course, that would up the aiming difficulty via the touch inputs by an insane amount, which is why Hopeless Land has a very generous and very smooth aim assist mechanic. In fact, the whole game feels smooth to control and play. The main game mode — Royale — supports up to 121 players on a map. But there's also the team deathmatch offering, which pits two teams of 8 players each against each other. First team to 100 points wins! The cleanest, most PUBG-like game for mobile we have found so far. 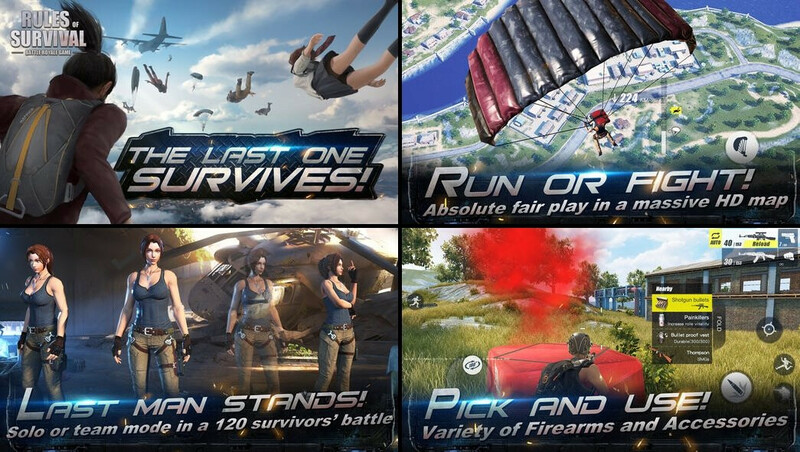 Rules of Survival has all the features of the "original" that it was modeled after, with weapons, attachments, backpacks, and even voice chat. Max player count gets dialed up to 120, but the rules stay the same — do what you must to be the last man / 4-man squad standing! This is a Battle Royale game made for those that don't want to spend half an hour in a match. With a cap of 50 players and 10-minute counters, it offers quick bursts of action whenever you have the time to spare. Its aesthetic mixes the grim and gritty atmosphere of PUBG with the cooky and colorful costumes of Fortnite, playing it safe in a way. This is the most “finished” game on our list. Radiation Island doesn't let you in the multiplayer madness until you've finished its single player campaign. It's a mix between crafting food, building a shelter, making guns, and killing scary stuff before it gets to you. Just for the sake of it. Youtube rewind 2018 was garbage. And its dislikes are a proof. Concerning the topic, Rules of Survival had a lot of potential. But it's developers kind of abandoned the game in a way that it now only receives a few useful features, while most are cosmetic ones aimed at emptying your wallet. The game only has 2 maps, with the 2nd one introduced in February, and is a joke. Nothing majorly new after that. Game is full of bugs, glitches, performance issues, crashes, and hackers. But the devs are sleeping. Very few of these problems have been fixed. And the main interface is a convoluted mess....you could get lost in it. I could go on and on about how this game has become so disappointing, but the bottom line is: go with PUBG mobile instead of ROS. I agree. Nothing touches oubg in poslish and controls. One of 2 game I play. Well my post was related to the Bullet Travel comment found on the article... But in reply to your suggestion, it really depends on the available loot and personal choice of style... I love the VSS and I will usually take it as my secondary weapon... always trying to pair it with an M416 or a Scar-L. Otherwise if I have a good Scope and attachments for the ARs then I will use them with single-shot as a sniper and instead take a SMG such as the UMP9. But the VSS (in the right hands and the mandatory extended clip) is a beast for medium distances. You can slay Level 2 targets in a pinch or get them with single shots if they are in the open.